Once upon a time in Tyria, there lived a centaur. He was snowy white and had a love of peace and harmony. That centaur was Ventari. Now, long after his death, we will be able to channel his peaceful spirit to heal and protect us while we wreak havoc and destruction upon our foes! 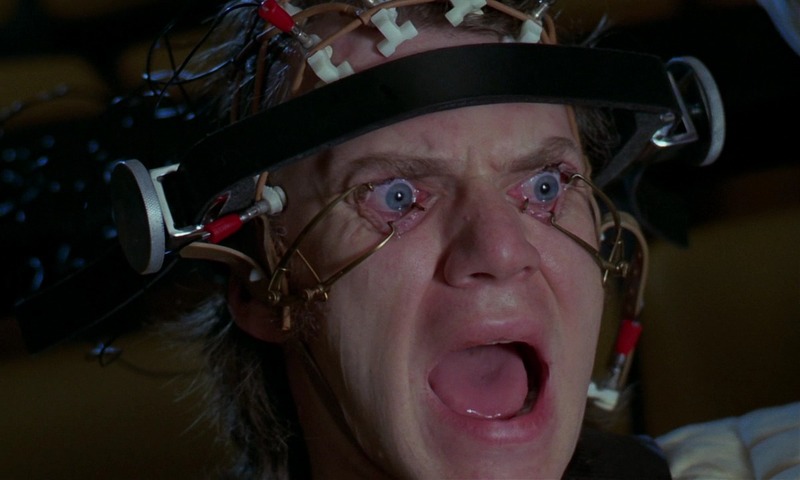 Anyone remember Alex’s brainwashing therapy from A Clockwork Orange? Yeah, well, we’re essentially doing that to Ventari every time we kill an enemy with his legend active. He isn’t committing the violence, but he’s indirectly contributing to it via healing and supporting the perpetrator, something I doubt he would be all that happy about. However, we must kill the monsters to progress in the game, so he’ll just have to deal with it. Sorry Ventari. Today’s reveal, which came in a blog post by Roy Cronacher, was actually two-fold: the Legendary Centaur Stance featuring the famous centaur Ventari was finally unveiled, as well as a new weapon for the revenant class: the staff! In all honesty, we were already fairly certain of the staff’s involvement with the revenant due to Rytlock wielding one in one of the trailers for Heart of Thorns. However, it is nice to finally see it confirmed. What is so intriguing about the staff in the hands of a revenant is that it will be wielded in a melee capacity! Are you tired of standing at the fringe of the battle throwing fireballs or their class-specific equivalent? I know I am! Players have always wanted to bash some skulls in with their staves, and now they finally get to make that mildly sadistic whim a reality! But a staff is naught but a stick without it’s weapon skills! Fortuitously, ArenaNet has seen fit to reveal to us two of them for the revenant’s staff, so let’s examine what we can. The first skill mentioned by Cronacher, Rejuvenating Assault, is a nice thought. It’ll be the staff auto-attack chain’s “finisher”, i.e. the third and final part of the chain that comes with a fancy effect. The effect in question will be healing orbs that spring from your staff the moment it comes into contact with your hapless foe. These orbs will then make their way to the ground, where they will wait patiently to be run over by players for a small amount of healing. It is unspecified how long these orbs will remain present, but it is likely they will remain on the battlefield for a very short time due to the frequency with which the staff wielder will be able to pump them out. Cronacher goes on to state that the intent behind this skill effect was to promote strafing around one’s target and the idea of healing spawned from offensive activity. I think the latter is relatively easy to accomplish and isn’t too ambitious, and it’s already something we see present in other classes (the thief’s Signet of Malice comes to mind). However, the idea of promoting strafing around a target is essentially PR speak for “we don’t want players stacking so much.” That would be a nice change in pace, wouldn’t it? However, I think improving enemy AI and reworking how line of sight works with enemies are the only things that might shake up the tried and true strategy that is stacking. A bit of healing is a nice thought, but since supportive healing is essentially unnecessary to Guild Wars 2 gameplay due to the efficiency of self healing and damage mitigation, it will be interesting to see how useful these healing orbs will actually end up being. Now the second and final staff skill Cronacher revealed is something I can get behind. No, seriously, you don’t want to be in front of it. Surge of the Mists is essentially that infuriating charge that makes us all hate Mordrem Teragriffs so much, only this time, the power is in our own hands! Well, staff. It also harkens back to the charge utilized by hostile centaurs in Tyria, though the repeated knockbacks are more in line with the teragriffs’ abilities. With this skill, players will be able to effectively bulldoze their foes out of the way in a forward charge, either knocking them backward or off to the side. There’s really not much to analyze here, it’s just a really cool ability and one that many of us will be using specifically to take revenge on those cursed teragriffs! Let’s see how they like it! After concluding the section on staff abilities, Cronacher finally begins digging into the meat of the article: the Legendary Centaur Stance.Ventari, the centaur we will be channeling, was a pacifist, and thus fits well with the theme of support and healing. The community long suspected that this would be the Ventari stance’s role, and GuildMag’s own Starconspirator ruminated on that very possibility not too long ago. It was Ventari who raised the Pale Tree alongside his human friend Ronan, who planted the tree. When he grew old, Ventari etched his fundamental beliefs onto a stone tablet and placed it at the foot of the Pale Tree, giving us the artifact that can be interacted with in Guild Wars 2 today. Which brings us back to the Legendary Centaur Stance. This stance, when activated, will provide the player with a single skill on their utility bar, which in turn can be activated to summon Ventari’s Tablet, similar to the way weapon kits work for the engineer. The tablet will then appear near the player, and grant them their new set of utility skills. All of these skills will be based around manipulating the tablet itself, which is a very interesting concept, and one that fits with the more action and movement oriented gameplay ArenaNet is pushing for with Heart of Thorns. The tablet adds another layer of depth to the gameplay, as players now have to pay attention to where the tablet is at all times in order to use their skills efficiently. Conceptually, this could be a lot of fun, or it could be a bit of a drag, it’s simply too early to tell. Luckily, ArenaNet will be showcasing the Legendary Centaur Stance on June 5th’s episode of Points of Interest, so be sure to tune in! Cronacher did deign to share several of the Legendary Centaur Stance’s abilities with us before concluding the post. These abilities: Ventari’s Will, Protective Solace, and Energy Expulsion, all fit within the stance’s realm of support, protection, and healing relatively well. Ventari’s Will will allow players to send the tablet around the battlefield, healing allies in its path. It is likely that the tablet’s movement rate for this skill will be relatively slow if other skills with similar effects (Guardian staff 2) are anything to judge by. 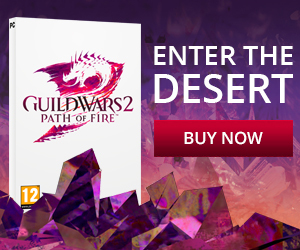 However, ArenaNet may yet surprise us. They like doing that. Protective Solace will more than likely end up being what makes this legend a must carry for any revenant. It is an upkeep skill, meaning it has no duration, but instead remains active indefinitely while severely draining the revenant’s energy pool, and ending upon the revenant running out of energy. This skill will summon a barrier around the tablet that destroys projectiles. The barrier in question can be seen in the image below. This is an extremely large area of effect for such a powerful skill effect. Hard mitigation skills like this one are much more valuable in Guild Wars 2 gameplay than healing and damage reduction effects, which is why this skill will most likely become one of the revenant’s most widely used abilities. Finally, the stance’s elite skill, Energy Expulsion, seems a bit… lackluster. For an elite skill, that is. If we are to assume that this is to have a fairly exorbitant energy cost for the revenant, I’d almost like to see a little more out of it. It will knock foes back around the tablet and leave behind healing orbs similar to the ones dropped by Rejuvenating Assault on the staff, which allies will again be able to run over for healing. This skill will also destroy the Ventari tablet, reverting your skill bar back to the single, weapon-kit style skill used to summon the tablet. Since this skill is an elite skill, one can only assume that A: the knockback radius will be very large, and B: this ability will spawn a very large amount of healing patches on the ground. Basically, I hope that what the skill lacks in description, it makes up for with an overabundance of what has been described. Overall, the stance looks interesting. The integration of crowd control was a good call, since crowd control can be used just as effectively in a defensive light as in an offensive light. However, I worry that it will only end up being just that: interesting. 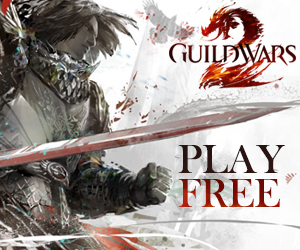 As I stated previously, outgoing healing is virtually unnecessary in Guild Wars 2 due to a plethora of superior supportive game mechanics and bad enemy AI. With that fact in mind, I don’t know where this stance is going to fit into the gameplay meta, if at all. What I can hope for is that ArenaNet has built Heart of Thorns in such a way that every gameplay element will be useful in some manner, even those that aren’t useful currently.